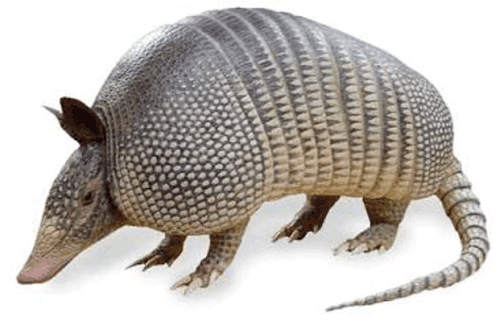 If I were to start with the word "armadillo" what would come to mind first? This perhaps? 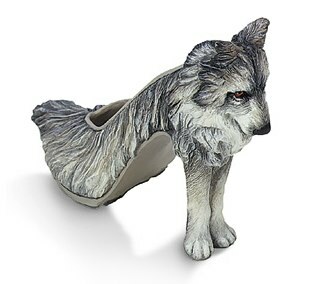 Or would you think shoes? For these of you thinking "eh? 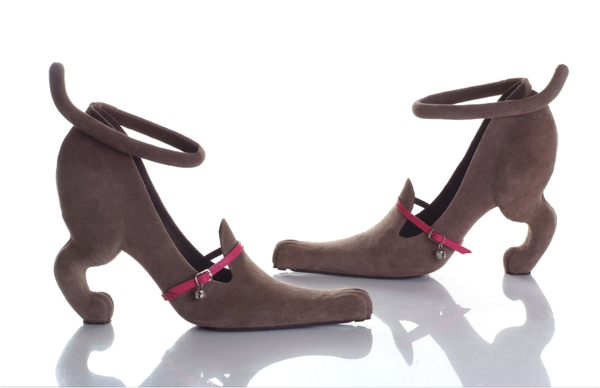 shoes? ", don't worry - I was the same earlier today! 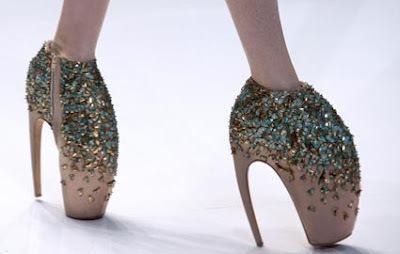 After a bit of a Lady Gaga fest, I was a little fascinated with the shoes she was wearing in her "Bad Romance" video which for some reason, I hadn't really picked up upon before. It can be found here at 3 minutes 29 seconds in. Apparently the ones pictured here were 12 inches high. Yes, you heard correctly. 12 inches. Scary stuff. 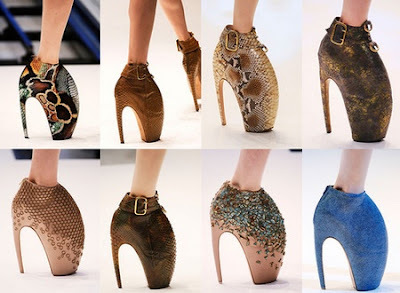 It's hardly surprising that some of Alexander McQueen's models refused to don them in one of his catwalk shows this year. Especially that one model who had had several previous misfortunes such as fainting on the catwalk (due to a tight corset). The article I found can be read in full here. Now over to you. What do you think of the Armadillo? Weird? Fascinating? Ugly? If money was no object, would you ever consider owning a pair? I struggle in heels at any rate let alone 10-12 inch ones! The Armadillo is just not practical in any way and I cannot believe that they'd be comfortable. And they sort of resemble a hoof. 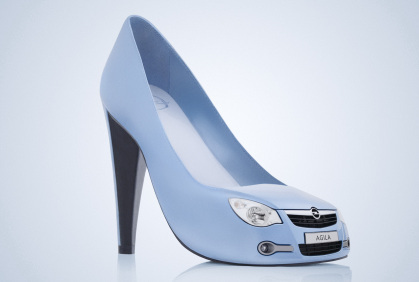 Or a trotter (sorry it has to be said!). But yet there is something fascinating about them. You've got to at least admire the creativity behind them. Tradition can be boring. Photo: Getty Images - image found here. Car shoes! Read the article here. Cat walk literally! Source came from here. What do you think? Would anyone be happy owning any of these? Ending this post, I would like to pay tribute to the legend that is Alexander McQueen. 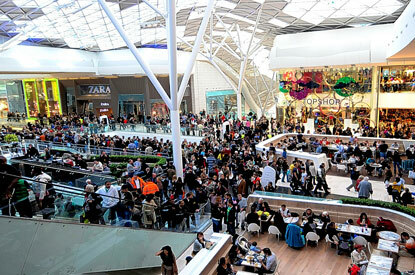 Christmas shopping - love it or loathe it? Christmas shopping is like marmite. You either love it or you hate it. Seeing the shops all full of glitter, baubles and Christmas cheer is on one hand quite exciting but on the other hand there are The Crowds. Tidal waves of panicking people - aware of the ticking time bomb that is Christmas - elbowing you out of the way. I witnessed this first hand at the weekend when I braved a local shopping centre. A stupid move. Now that I have finished my Christmas shopping, I am avoiding all shops and going cold turkey from the usual culprits… online sites. I am loving the design of the Fortnum & Mason’s one but all in honesty, it’d be a total waste of money on my part - I wouldn’t want to eat the sugar mice! And I think £125 is a bit excessive for purely a piece of eye candy. Don’t even get me started on the Porsche calendar. Now the Selfridges one on the other hand, is right up my street. Twenty-four new beauty products? It would be Christmas way before literal Christmas, if you know what I mean. Both are equally as fabulous but based on my magpie tendencies of loving all that is shiny, I prefer the left. It would totally make your outfit “pop” and that extra little bit special on a night out. 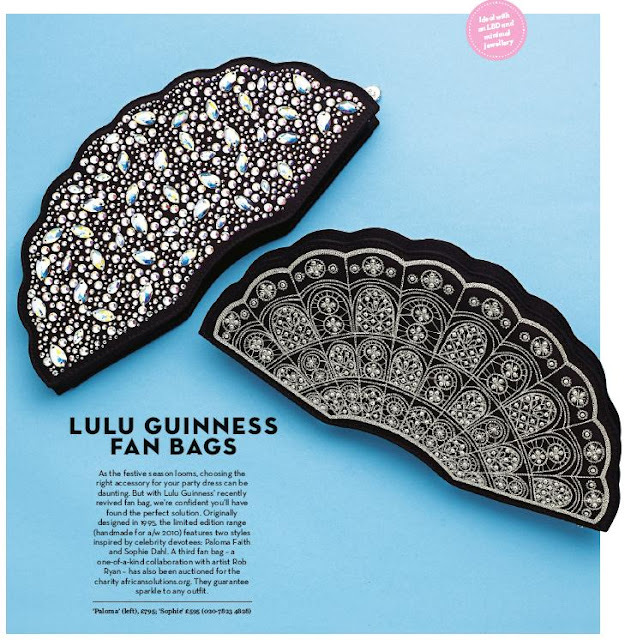 The right fan is brilliantly classic and a little more understated meaning it’d be more versatile - the perfect accompaniment to an outfit for both day and night. It’s terrible I know, but I can’t decide if I like the studded lid or the colour more! It’s a close call. 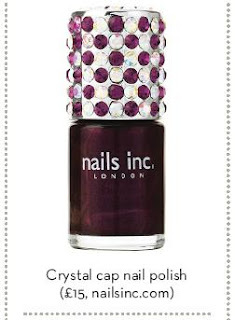 This nail polish would be the pride of anyone’s dressing table. A purple like this is amazing and works really well with sandy / beige tones. I figured this out by accident one day when I teamed my beige trousers with a top in this sort of purple. Never thought it would work, but it did. These earrings scream elegance. The red and gold just complement each other so well. I love how intricate the gems are – it’s like they’re forming little airborne mosaics. 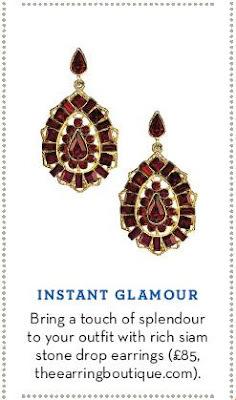 Too expensive for me personally, but earrings like these would be an investment for any woman. They could be worn day and night.